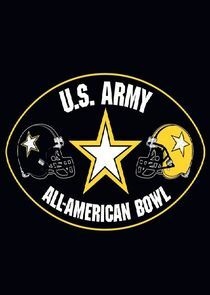 The U.S. Army All-American Bowl is the premier high school football All-American game. Due to its distinction as "Military City USA" the Bowl is held annually in San Antonio,Texas. Currently played in the Alamodome, the game brings together 90 of the nation's top high school football players in an East versus West matchup. In addition to the Bowl game, there is the U.S. Army All-American Marching Band, which comprises 125 of the nation's top high school marching musicians who perform during halftime of the U.S. Army All-American Bowl. The game enjoys a worldwide audience thanks to broadcast partner NBC, and more than 40,000 in attendance every year. The U.S. Army All-American Bowl was first played on December 30, 1985, in Highlander Stadium in Dallas, Texas. Since 2002, however, the game has been played in San Antonio. Notable alumni include: Andrew Luck, Jamaal Charles, Patrick Peterson, Adrian Peterson, Odell Beckham Jr., Eric Berry, Tim Tebow, Joe Thomas, Tyron Smith,Robert Quinn, C.J. Mosley, DeMarco Murray, and Derrius Guice. Thirty-six U.S. Army All-Americans were selected in the 2014 NFL Draft, and as of the 2015 NFL Draft there have been 299 alumni drafted. The 2017 U.S. Army All-American Bowl is airing live today from the Alamodome in San Antonio, Texas.